Getting shingles may increase your risk of a heart attack, stroke or other heart problems by as much as 40 per cent, according to Korean researchers. 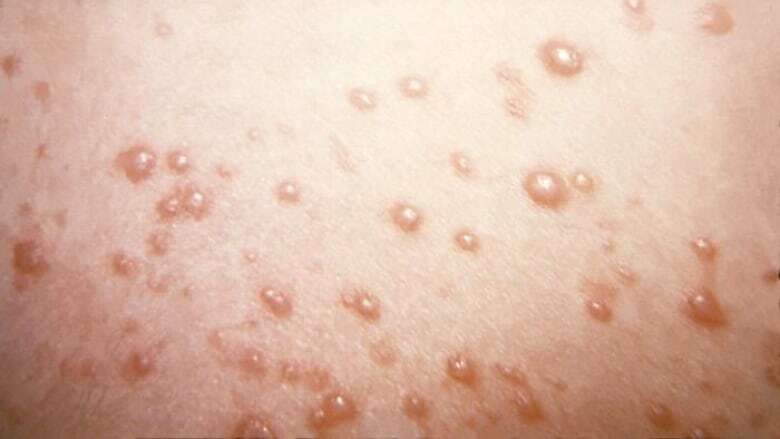 But vaccination can help prevent shingles, which is caused by herpes zoster — the same virus that causes chickenpox, study author Dr. Sung-Han Kim of Asan Medical Center in Seoul said in an email. Individuals should talk with their doctors about preventing shingles "until further studies elucidate the effect of vaccination on cardiovascular outcomes," Kim said. Kim and his colleagues analyzed the medical records of more than 23,000 shingles patients between 2003 and 2013, and compared them with the same number of patients who didn't get shingles. People who got shingles were more likely to be female and have common heart risk factors such as high blood pressure, high cholesterol, diabetes and older age, the study found. But they also were less likely to smoke and they drank less alcohol, got more exercise and were in a higher socioeconomic class, according to the report in the Journal of the American College of Cardiology. After adjusting for these and other factors that could influence the risk of heart problems and stroke, the researchers found that overall, having shingles was associated with a 41 per cent increased risk of any heart-related problem, a 35 per cent increased risk of stroke and a 59 per cent increased risk of a heart attack. The odds of stroke were especially high in people age 40 or younger, whose risk was 3.74 times that of peers without a history of shingles. The risks for both stroke and heart attack were also highest in the first year after the onset of shingles and dropped over time. Kim stressed that patients and doctors should be aware of the increased risks, although more studies are needed to understand the connection between these conditions. Dr. Lee Schwamm, vice-chair of Neurology at Massachusetts General Hospital in Boston, suggested that inflammation plays a role. "We've known for a long time that there is an interplay between inflammation and clotting," he told Reuters Health in a phone interview. When someone gets shingles, the virus may move through the skin and directly attack and inflame blood vessels, as well as certain nerves, Schwamm said. Inflamed blood vessels may cause the blood to clot, setting the stage for a heart attack or stroke. Inflammation of nerves can cause the severe pain, called post-herpetic neuralgia, that often accompanies shingles. "There's no definitive proof of the relationship between inflammation and clotting, but the evidence is growing and it's very intriguing," Schwamm said. "And it emphasizes the value of trying to prevent shingles in the first place by getting vaccinated." Whether treating shingles will reduce the risks is unknown, he added. Dr. Talia Swartz, an assistant professor of infectious diseases at the Icahn School of Medicine at Mount Sinai in New York City, said the findings are consistent with previous studies linking shingles with heart attack and stroke. Nevertheless, the study has some limitations, she told Reuters Health. There may have been undocumented differences between patients in the two groups, as well as differences in shingles severity among those who got the disease. As for the shingles vaccine, it not only helps prevent the condition in people over 60, it may prevent a recurrence in those who have already had shingles, she added. So even people who have already had shingles should get the vaccine, Swartz said. Regarding the heart attack and stroke risks, both Schwamm and Swartz stress that following a healthy lifestyle is the best way to lower risks — keep cholesterol, blood sugar and weight under control, exercise regularly and don't smoke.